Posted on 4 februari, 2019 by Artillio Bergholtz Posted in Nyheter, Paul McCartney	. Is it true there is a recording out there somewhere of a jam session that you [and The Beatles] had with Elvis Presley and you covered Cilla Black’s version of ‘You’re My World’? What was it like to meet Elvis? Paul: There is no recording of a jam session with Elvis – that I know of! And, ’You’re My World’? No. I think it’s highly unlikely. I’d be interested to hear it if anyone has it? I haven’t got it and I don’t remember that. But you know I suppose there’s some slim possibility it’s true. But as far as I’m concerned, it isn’t! 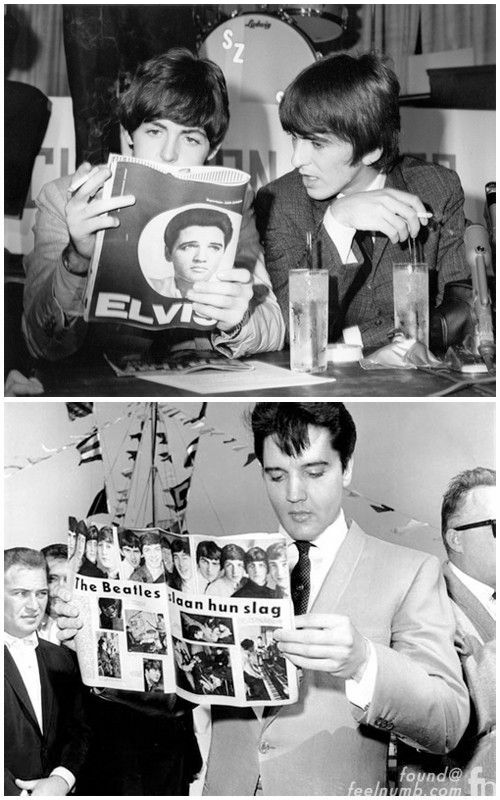 It was phenomenal to meet Elvis because we’d grown up in Liverpool and it was hearing his record ‘Heartbreak Hotel’ that I think tipped the balance for the four of us in The Beatles. We wanted to do something like that. So we’d grown up with this sort of wonder for this amazing guy who just looked great and sang great – and we were major fans! So when we became The Beatles we asked to meet him. Eventually we did meet him and it was lovely and we were just like big fans! We were just in awe, because this man that we’d idolised for so long… it was just very special. It was magic! Elvis Presley träffade The Beatles första och enda gången den 27 augusti 1965 i Elvis hem i Kalifornien – Beverly Hills Mansion. Tyvärr finns det inte några fotografier eller inspelningar från deras historiska möte, men nedan kan ni höra vad Priscilla Presley har att berätta om från detta möte.